Art and beauty are component inside of our idea in every products we sells through deZavo, that’s why we do really love designer item especially if we talk about home and its interior. Do you wonder, why some people love to spend most of their precious time at their home? Some people succeed to make their house as a truly home because there is something called “HARMONY” inside. And this HARMONY found from idealism of the designer, they won’t afraid to spend lot of money for designer item. We honestly adore to those designer with their creativeness to create something functional but stay beautiful. We, have same feeling about HOME that is why without any hesitation we put designer collection in our category products, because we know you so well. Formerly, when you are buying ceiling fan you have no option on the design, sometime you are stuck on the certain design which is actually old fashioned, but what can you do? 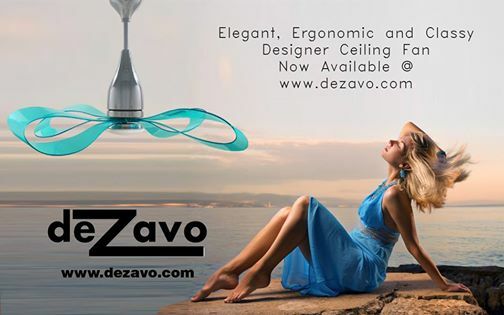 But, now you can have more stylist with same function from our designer collection in www.dezavo.com . The design, we believed will be able to beautify your home and other property. Newer PostIndonesia Ceramics, Why Not?